Kickstarter has successfully changed the way that thousands of inventors seek funding for their projects and in some cases, it’s given the average person an avenue to offer feedback and insight on a particular product well before it reaches manufacturing. But even as hip and innovative as the whole idea is, it isn’t without its flaws as CNNMoney recently discovered. 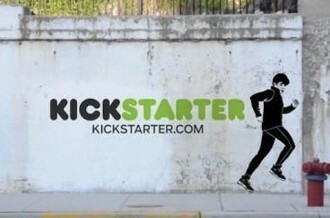 An investigation by the publication looked at the top 50 most funded Kickstarter campaigns. Collectively, these 50 projects raised $40.3 million in funding from close to 420,000 backers. They also found something a bit more alarming: 84 percent of the top 50 most funded Kickstarter campaigns missed their initial shipping date. That includes the Pebble smartwatch, a project that raked in more than $10 million from nearly 69,000 supporters. All of the projects in their study had a shipping date of November 2012 or earlier and only eight campaigns managed to ship products to backers on time. Furthermore, 16 projects still remain unshipped as of writing, including a home espresso machine from ZPM Espresso. It’s already nine months late and isn’t expected to be ready until sometime in mid-2013. We’re told that the 26 products that eventually shipped missed their initial launch date by about two months. Of course, keep in mind that these statistics only hold true for the top 50 campaigns. As far as we know, there’s no hard data on the thousands of other campaigns that may or may not have met their initial shipping estimate.